It is essential that medical professionals in the operating room regularly undertake emergency drills. 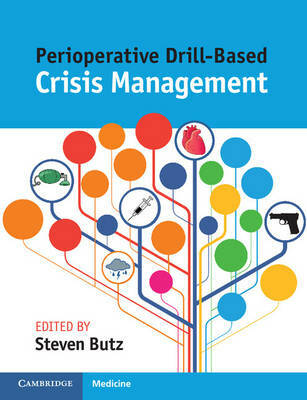 This unique book takes what can be an onerous task for leaders and operating room physicians, and makes it easy. Chapters cover drills ranging from medical emergencies such as cardiac arrest and malignant hyperthermia, to non-medical emergencies such as an active shooter and evacuation of a medical facility. Each chapter includes at least three scenarios for a specific type of drill, with expected actions and educational material for debriefing. The latest specialty guidelines and algorithms are included throughout and key learning points are highlighted for each drill, removing the need for further detailed research in advance of each exercise. Written and edited by leading experts in the field and endorsed by the Society for Ambulatory Anesthesia, this manual enables every reader to lead a meaningful drill with educational value for all participants.